DREGstudios! 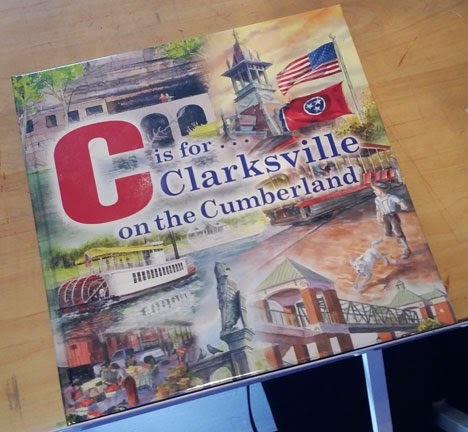 The Artwork of Brandt Hardin: C is for Clarksville on the Cumberland BOOK SIGNING! 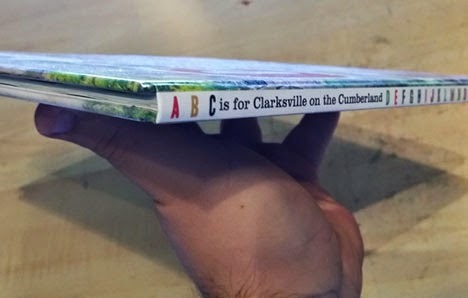 C is for Clarksville on the Cumberland BOOK SIGNING! This Tuesday, The Clarksville Arts & Heritage Development Council will release their new book, C is for Clarksville on the Cumberland. Collecting a plethora of local history and culture, local artists were assigned letters of the alphabet with themes the public suggested to the Council. 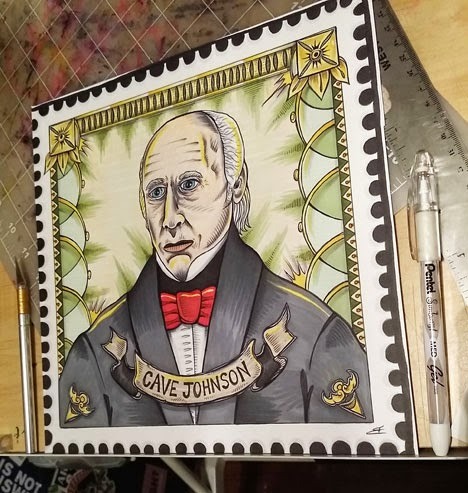 I was asked to illustrate J (for Cave Johnson.) 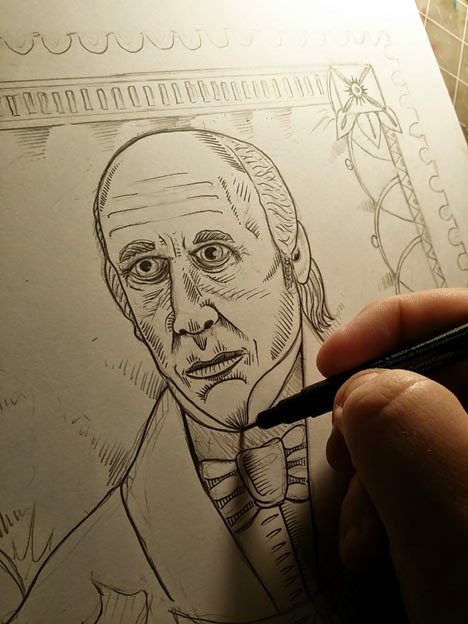 This historical figure spent most of his life as a resident of our town. 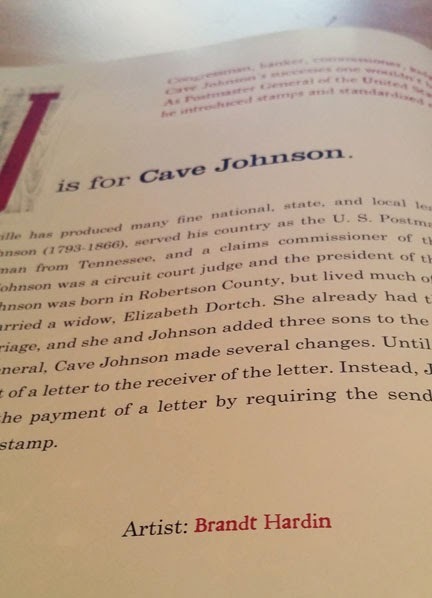 As Postmaster General, he created the first postage stamp. 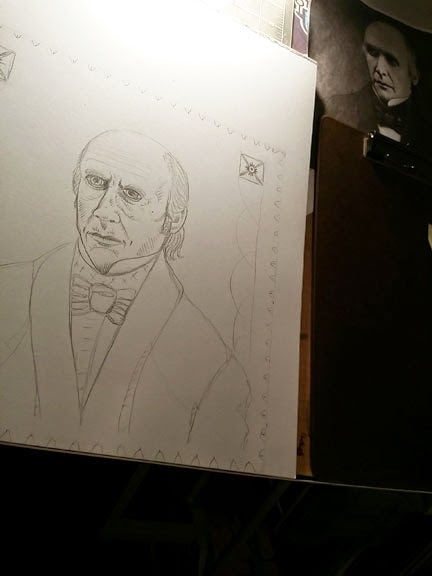 My portrait places him on a stamp though I've heard he's never had that honor... until now! 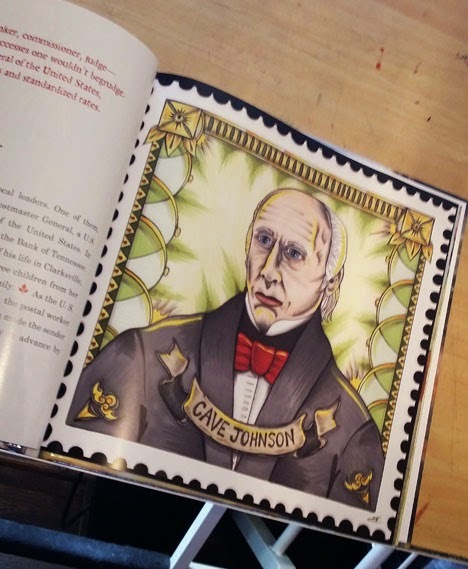 The book will be available throughout the holiday season at The Roxy Regional Theater, The Downtown Artists' Co-Op and The Customs House Museum. To kick off the release though, a Book Signing and Exhibit will be held this Tuesday, October 21st at the L&N Train Station (10th and Commerce here in Clarksville.) The doors open at 5:30. You can see all the original artwork created for the book in person as well as get your copy signed by as many of the artists as you like!! !